Came across this book while surfing Twitter (follow me @hockeydevil3) and it was super fun to read. I love ghosts, and ghosts stories, and this one made me giggle and truly enjoyed. It’s about May Elizabeth Trump. Who sadly, passed away, new to the ghost realm and finds herself wondering her old neighborhood. She comes to find her dead cat (10 yrs ago) and another ghost by the name of Penny, whom is also recently deceased. These two, including the cat, team up to help Penny’s daughter Chloe save the family home. Now the fun begins. We learn that May can not only talk to the dead, she can talk to the living! With the help of some of May’s living friends (who believe in the Spirit World) start spreading the word about May’s talent. The ghosts start lining up to send messages to their loved ones. Penny meets a loving, caring ghost, and we meet some not so nice ones. And when these worlds collide, watch out. This book will have you on the edge of your seat and giggling. Who knows what will happen. 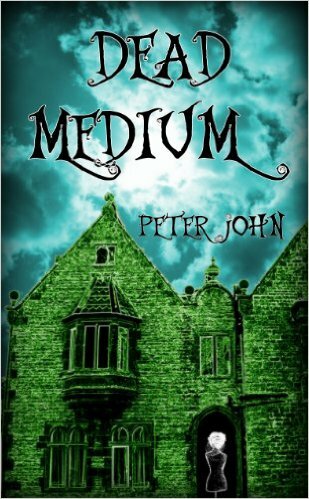 This truly is the perfect ghost story, and with Halloween right around the corner ….. be sure to pick up this great book!! I also recently finished A COIN FOR CHARON by Dallas Mullican. Bloody brilliant book. Dallas is Mr. October Author Spotlight and will be talking about his book then. But will brag a little bit …. this book left me breathless and moved. The story follows the view of 4 people, The Killer, The Cop, The Doctor, and The Sick. Kindle price is $5.99 …. this is book 1 in the Marlowe Gentry (The Cop).